What Is Smart TV? 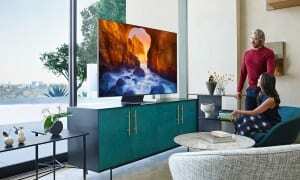 Best Smart TVs For 2019 - Which? Want to access apps such as BBC iPlayer, stream films on Netflix or surf websites on the big screen? You can do all this with a smart TV. A smart TV is an internet-connected television that offers a range of online features, such as on-demand content from apps like BBC iPlayer, ITV Hub and All 4, access to streaming services like Netflix, and the ability to connect to other wireless devices like smartphones. These internet-connected smart features help you get more out of your television. Most new TVs are now smart, with a wide range of models to choose from, including Best smart TVs available at affordable prices. The definition of a smart TV is getting broader. High-end TVs now support voice control. 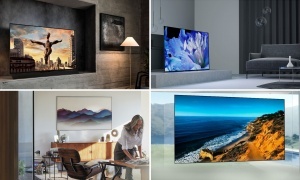 It's not technically new, but the latest models from LG, Samsung and Sony now let you search for content on your TV rather than type or flick through channels. This new feature means voice control is more useful than ever. Some TVs even double as smart hubs, giving you control over smart bulbs, thermostats and other devices without the need for an extra hub. In this guide, we'll explain what you get with smart TV, show you some of the best new models and tell you more about the smart features on each brands TVs. We'll also show you how to stay secure and protect your privacy while using a smart TV. Just want to see great smart TVs? We've got hundreds of expertly-tested models to suit all needs and budgets in our TV reviews. Looking for information on a specific brand's smart system or if you're curious what data smart TVs capture about you use the links below to jump to a specific section of this page. 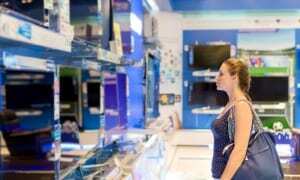 Smart TV: what are the benefits? Is your smart TV listening to you? Some excellent new smart features combine with incredibly detailed images to make a brilliant Best Buy TV. We don't often recommend TVs like this one, but our experts were hugely impressed with the stunning detail and colours, and the exceptional sound. It's a deserving Best Buy. We had high hopes for this TV and it didn't disappoint, with a Best Buy-worthy performance in our test lab. Wonderful picture quality, whether you're watching SD, HD or 4K content, is complimented by the excellent smart system that makes it easy to find all the content you want from streaming and catch-up apps. This set is one of the better small TVs, with its easy to use, customisable smart system, and Freeview Play, which is a simple way to use catch-up TV services from the electronic programme guide. Prices, recommendations and test scores correct as of August 2018. Apps: Apps on smart TVs either come pre-installed, or are available to download from an app store. Most smart TVs offer TV and film streaming on services such as Netflix and Amazon Video, catch-up TV on apps such as BBC iPlayer, and social networking on Facebook and Twitter. Web browsing: Most smart-TV models have built-in web browsers allowing you to surf the internet and view web pages, photos and videos from the comfort of your sofa. However, some are much easier to use than others. Streaming: smart TVs let you wirelessly stream videos, music and pictures from your phone, tablet or laptop straight to your TV. This is often called casting. You can find out how to set up casting and streaming in our guide on connecting devices to your TV. Additional services: Smart-TV brands offer additional services to differentiate their smart TVs from the competition, such as customisable homescreens and recommendations of things to watch based on your personal tastes. Some are useful, others feel more like gimmicks. Internet: You’ll need an internet connection to get your smart TV online. Most smart TVs are now wi-fi enabled, meaning you can wirelessly connect them to your internet router and other devices like smartphones. Some older models require a brand specific wi-fi adaptor, which usually slot into one of the USB ports. You can also connect your TV using an Ethernet cable, but if it's not close to your router then you'll need a long lead or a power line adapter. Decent broadband speed: This is essential if you want to stream video, and a super-fast speed is preferable. For example, if you want to stream 4K Ultra HD content on Netflix, you'll need at least 25Mbps to get the best experience. Also, go for an unlimited broadband package so you can avoid any extra changes for exceeding your data limit while streaming. "If you want to stream video on your smart TV, it's best to go for an unlimited broadband package to avoid any excess data charges." TV license: You don't need a license to watch TV over the internet if it's purely on-demand or via catch-up, though you do need one to watch or download on BBC iPlayer. For more on this, head over to our TV License explained guide. Smart TVs are available from all the major manufacturers - including LG, Panasonic, Samsung, and Sony - but each has its own strengths and weaknesses. Samsung's Tizen smart TV platform has evolved since its launch in 2015 into one of the best around. That said, while the other major TV brands have incorporated services such as Freeview Play and YouView (handy smart electronic programme guides with catch-up TV built-in) Samsung hasn't gone with the crowd. In its 2018 TVs, Samsung has incorporated its SmartThings software. This smart home tech gives you control of smart devices, such as light bulbs and thermostats from your TV. Bixby, Samsung's answer to Amazon Alexa and Google Assistant, is now the default for voice commands on Samsung's TVs. The advanced features Bixby brings, includes searching for movies and TV shows starring specific actors, checking the weather and answering questions. 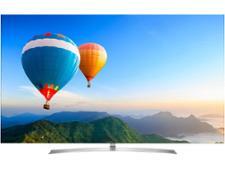 Find your new Samsung set with our Samsung TV reviews. LG's smart TV platform is called webOS. It features a 'launcher' bar at the bottom of the screen that allows you to quickly jump into things like the TV guide, apps or the web browser. You can customise the launcher with your favourite services by dragging and dropping them into the order you want. Unlike Samsung TVs, LG's models also benefit from Freeview Play. This software combines catch-up TV features with the electronic programme guide, so you can see what shows are coming up and what you might've missed from one menu. Just like Samsung, LG offers two types of remote control - a standard version and one known as the 'Magic' remote, with a moveable cursor on screen for clicking on apps and icons. It's great for smart-TV functions, but it's only included free on the pricier TVs, otherwise you'll have to buy it separately. The vast majority of LG's 2018 support the Magic remote. LG's 2018 lineup of TVs are smarter than ever thanks to ThinQ software. This tech lets you control other ThinQ compatible LG appliances from your TV. With the right devices, you could get alerts on your TV when the washing machine had finished its cycle, or when the timer was done on your oven. Voice commands will be more advanced on the 2018 TVs, too. You'll be able to search for content with specific actors and directors and the TVs will be better at recommending content based on these searches. Only the Magic remote has the built-in microphone for voice control. 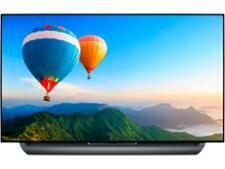 Browse our latest LG TV reviews. Sony makes use of the YouView smart EPG. This gives access to the full range of catch-up apps, including BBC iPlayer, ITV Hub and All 4, as well as Netflix and Amazon Video. Using YouView, you can also pause, record and rewind and access some HD and Ultra HD channels. Sony's smart TV platform is powered by Android TV, the service developed by Google. It's not as easy to use as Samsung and LG, but it's a clean, simple interface - the sort you'd expect from Google. Sony has kept things traditional in terms of remote controls. The remote that comes with Sony's higher end TVs has voice text input system but otherwise it looks much like a traditional remote. There's no motion-controlled cursor that could make navigating the smart TV platform easier. The remotes are simple, but some have a built-in microphone that lets you control certain aspects of the TV with your voice. You can ask the TV to go to specific channels and search for specific movies and shows, to see if they're are airing on any channels or streaming apps you have installed. 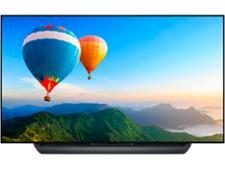 Find your perfect Sony set in our Sony TV reviews. Panasonic's smart-TV service is powered by Firefox, the popular web browser. Its big focus is customisation, with a homescreen you can personalise with your favourite and most-used apps. Freeview Play is a standard feature on its smart TVs. This handy smart electronic programme guide is much like YouView (which can be found on Sony TVs), making it easy to access catch-up services, such as BBC iPlayer, ITV Hub and All 4, from the programme chooser. From our recent tests, we've found Panasonic's smart-TV service is OK to use, although there's definitely room for improvement. It feels a little clunky when compared to likes of Samsung and LG, but generally it's fairly intuitive. Panasonic's 2018 range will be compatible with Amazon Alexa and Google Assistant. As long as you have a Google Home or Amazon Alexa you'll be able to control features on your TV, such as changing channels, adjusting volume and selecting inputs. It's a handy feature, especially if you're prone to losing the remote. Browse expertly-tested models in our Panasonic TV reviews. Streaming boxes: A wide range of plug-in devices allow you to transform your standard TV into a smart TV at a fraction of the cost. 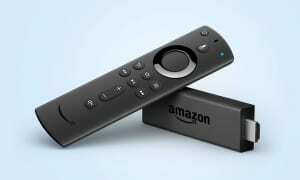 Well know streaming devices include the Amazon Fire TV stick, Google Chromecast, Apple TV and Roku, and all can access video on-demand, catch-up TV and other internet apps when connected to your television and home wi-fi network. Head over to our internet TV box reviews for more. YouView: This subscription-free service combines Freeview digital TV with the internet catch-up TV services from all four main broadcasters (BBC iPlayer, ITV Player, All 4 and Demand 5). The YouView set-top box can be purchased standalone, or bundled with broadband deals from BT and TalkTalk. Some Sony TVs have YouView installed as standard. Computer: If you connect your PC to your TV, you can use it as a large computer monitor. For this, you’ll need an analogue VGA input. Some TVs can be connected via a digital input, either a DVI socket, or more commonly via an HDMI input configured for PC screen resolutions (check your TV manual for instructions on this). If your PC only has a DVI output, HDMI to DVI cables are available to buy in shops and online. Need help getting other devices connected to your TV. Use our free tool to see exactly which devices to wire in to which connection and further advice on hooking up everything from a sound bar to a smartphone. Smart-TV makers - including those listed above - are able to track and monitor the way you use your television like never before, including what you watch, what buttons you press on the remote and the websites you visit on your TV's browser. This can have benefits, such as more personalised recommendations of things to watch, but there are also potential downsides. In theory, the TV brands can gather vast quantities of data on you and, in some cases, use that information to make money through posting targeted adverts on your smart-TV service. You give permission for this to happen by agreeing to your TV's T&Cs. You can decline them and still watch TV. In many cases, however, that results in you losing access to some smart functionality of the TV. Samsung: Samsung tracks you if you agree to its T&Cs. If you decline, you can’t access the smart-TV service. If you do agree you can still turn off tracking of your viewing habits by declining the ‘recommendations privacy notice’ in the smart hub settings menu. LG: As LG has stopped tracking (as of September 2014), it has removed options for you to block it. LG's T&Cs still permit it to track you, and if you decline them you can’t access any apps or the LG Store, although you can still use the web browser. Panasonic: If you don’t accept Panasonic's T&Cs, you lose access to all apps, the web browser and content recommendations. If you accept them, you can turn off tracking of your viewing habits via ‘Menu > Network > My Home Cloud settings > Notice > Stop collecting information’. Sony: Sony tracks you like the rest of the brands, but doesn't do so to provide advertising on your smart-TV service - just to provide you with recommendations of things to watch. You can opt out of tracking by ticking ‘Disable Upload Data’ at the setup stage, however you'll lose the recommendations. Toshiba: You can’t access any of the smart-TV services, including the apps and web browser, unless you agree to the T&Cs. Once you do, you can go to ‘Smart hub Settings - Log Upload agreement - and then click ‘disagree’. This should stop tracking. You lose features such as personalised recommendations and the MediaGuide EPG, but can still use the apps and web browser. Which? research has shown that some 2013 and 2014 smart TVs from Samsung and Panasonic transmitted voice searches unencrypted over the internet. Shockingly, we were able to pull the actual audio out of the raw data drawn from the Samsung models. This means if you haven't secured your wi-fi and if someone's eavesdropping on your network, they could hear what you say to your TV. Samsung said that it deployed a software update on 11 March 2015 that it claims encrypts the voice search data. This extended to all Samsung smart TVs at the end of March. As long as the TV has the latest software update this vulnerability should no longer be an issue, but we'll be checking this for ourselves. If you own a Samsung smart TV and want to disable voice recognition – meaning the TV no longer stands in readiness for you to say 'hi TV' and activate the voice features - head to the Settings menu and select Smart Features. Then go to Voice Recognition and switch it off. Panasonic told us that its TVs do not "constantly monitor conversations", but it advises users not to "include any personal information in the voice commands". It said that it plans to launch a software update that will encrypt the voice data. We’ll be following up with Panasonic on this. Voice search is only activated on Panasonic TVs if you hold down the microphone button on the remote control. Some TVs have an 'info bar' feature that listens out for your voice and activates various features on the TV. This can be turned off in the smart-TV settings menu. When connecting any device to the internet, including a television, it is vitally important to protect yourself from the more negative aspects of the online world, including hackers and malicious threats. Here's some steps to make your TV more secure while going online. Disable cookies: You can usually disable cookies, including third-party cookies, in your TV’s web browser settings, and can often enable a ‘private browsing’ feature. This will stop some of the web tracking, but bear in mind that it may also restrict your browsing experience on some websites (eg it won’t remember your preferences). Secure your network: Make sure you properly secure your home wi-fi network to reduce the threat posed by hackers. Look for the wireless or ‘WLAN’ settings on your router and set them to the latest WPA2 standard, which is the most secure option on most devices. Ensure that your router’s firewall is enabled, as this will help protect you from outright threats and security vulnerabilities. Set strong passwords: Use a strong password for your home wireless router, and do the same for any internet accounts you may use on your smart TV. Strong passwords typically use upper and lower case letters, numbers and ‘special’ characters such as !, ?, % and &.